We give everything businesses need to offer and manage EV charging for their employees, customers, visitors and residents. Our cloud-based solutions provide flexibility and control making EV charging good for any business. 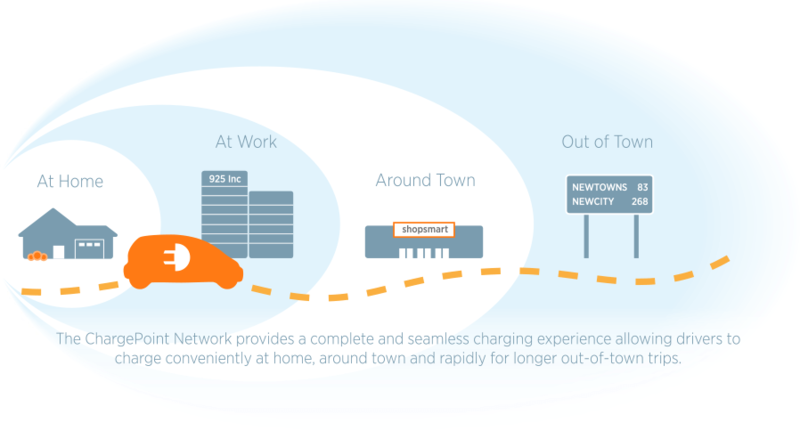 We help drivers make the switch to electric by offering connected charging wherever they work, shop, eat and play. And with our free mobile app, and integration with auto manufacturers, we offer a seamless driving and charging experience. ChargePoint is open to drivers of all EV makes and models. Learn more about how you can start charging your electric vehicle on the network.